Drinking tea isn’t just a way to quench your thirst. This ancient practice has been used by myriad cultures to promote a healthy lifestyle. There’s a definite art to drinking and appreciating tea, from finding the right blends to savoring the enticing aromas and flavors. 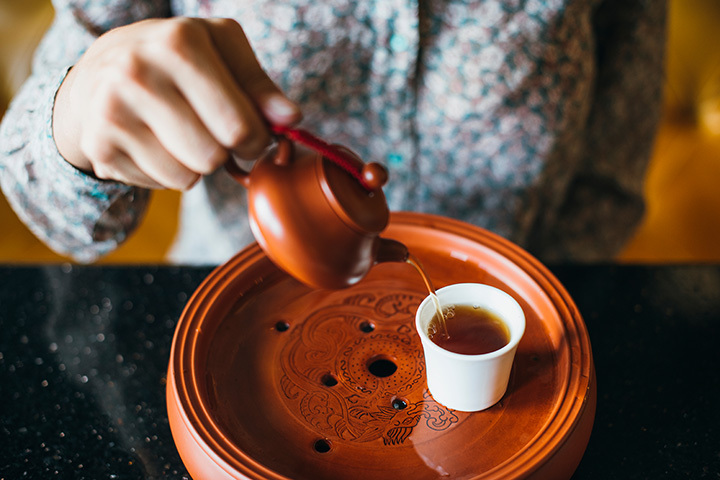 Whether you’re a tea newbie or just can’t get enough, you’ll love the experience at these 8 best tea shops in Mississippi. This vibrant southern tea room is one you’ll want to experience over and over. Step inside their stress-free zone and indulge on light eats and myriad choices of teas, all made fresh to order. Your sipping experience will feel more like a day at the spa! Their name might boast the word ‘coffee,’ but rest assured this place is equally talented in the likes of tea. They feature everything from bubble tea to over 16 varieties of carefully blended hot teas, and tons of choice for flavored iced tea. It’s also one of the best places to grab a light lunch that’s tasty and filling. This magical tea shop sends you straight down the rabbit hole into a world of whimsy and delight. Their tea offerings are as unique as they come, with tons of hidden treasures just waiting to be discovered. They’re focused on all things wholesome and healthy, so you can feel good about the tea you drink. You’ll need to make reservations for their high tea experience, but it’s more than worth the planning and forethought. Step inside and take a trip back in time in this charming little tea house, serving up a delicate balance of nostalgia and modern amenities. Everything is made fresh to order and truly tailored for a personalized experience. This place might be known for their Mississippi-roasted coffee, but their hot teas aren’t to be missed. They ‘ve chosen a small but satisfying variety of loose leaf teas you’ll want to sip and savor. Plus, they’re never afraid to get a little creative with their drinks. Their iced tea blend should be world-famous (it’s already quite popular among the locals!). They’ve hand-curated a delightful selection of premium loose leaf teas that need no doctoring. Plus, you can scoop up all the blends and accessories you need to enjoy a steaming cup of shop-quality tea at home. Simple and elegant, you’ll treat this place as an escape from the daily hustle and bustle. The tea menu is short and sweet, focusing on quality of flavor rather than quantity of choices. Their outside patio is also pet-friendly, so bring your favorite four-legged companions along for the experience. This long-standing tea room is a gem on the Mississippi gulf shore. They’re serving up the freshest lunch and desserts in town, focusing on lighter fare that tastes good and is good for you. Feed your soul with a hot cup of tea while you soak in the cozy, quaint environment.